March 15, 10 am – noon, Coffee Hour, Join us for a cup of coffee or tea, a sweet or two and good conversation. Suitable for all ages! March 18, 7:00 pm, Tech Night, or a chance to learn how to use your technology tools. We’ll be available to answer your questions on how to make the most of your technology tools – from using a mouse, to organizing files, from signing up for email to using your eReader, from writing a letter to editing a photo. Bring your questions and your computer and tech tools, and we’ll help you find the right path to easier computing. March 19, 1:15 pm, Tuesday Theatre Get ready for baseball season with this film starring Clint Eastwood as Gus Lobel, a long time baseball scout who is starting show his age but he can still spot “the trouble with the curve.” It will take his daughter Mickey (Amy Adams), and a rival new scout played by Justin Timberlake to help save his career. Rated PG-13. March 21, 7:00 pm, Readers’ Delight, discussing The Moonstone by Wilkie Collins. Contact the library if you would like to borrow a copy. March 22, 10 am – noon, Coffee Hour, Join us for a cup of coffee or tea, a sweet or two and good conversation. Suitable for all ages! May 21, 6:30pm, Writers Workshop 1 — An hour of writing and sharing poetry with local author Elizabeth O’Donnell. May 24, 7pm, Free Movie — Groton Growers and MyFarmersMarket.com are sponsoring a free movie at Peacham Library. 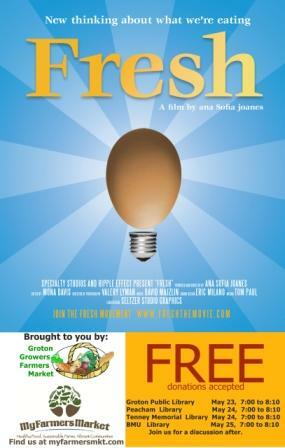 Join us for a screening of the documentary “Fresh.” This movie celebrates the farmers, thinkers and business people acrossAmericawho are re-inventing our food system. May 25, 10am – noon, Coffee Hour – Join us for a cup of coffee or tea, a sweet or two and good conversation. Suitable for all ages! May 28, Memorial Day, closed all day. June 1, 9am, Preschool Story Time, last one of the school year. There are only two more weeks to view the artwork of David Smith, our current Gilmore Gallery artist. Stop by before the end of May to see these incredible paintings. Are you good at naming things? How about helping us name our new travelling frog? Check last week’s post for details. New frog pictures! Peacham recently travelled to Virginia and had a great time in the Shenandoah Valley visiting the Strasburg Library and other places. At the same time, Jing, flew off to Scotland, England and Iceland. To see all the places the frogs have travelled check out the Library Frogs page. While the frogs were gone, a new frog arrived at the library. Not only is this a very colorful frog, but there are magnets in the arms and legs that will make it easy to attach the frog to a sign for photo ops! Please help us name this frog. Drop off your suggestions, post them here, or email us. We’ll let the folks at coffee hour choose the final name. May 14, 4pm, Writers Workshop 2, POSTPONED, check back for new date, Author Elizabeth O’Donnell will continue to lead us through writing and illustrating a short picture book. It’s never too late to join this writers group. May 14, 7pm, Tech Monday, Word Processing, A workshop for both the beginner and the more experienced! We’ll cover getting started, saving your work, and making your documents work for you instead of you working on them. But most importantly we’ll teach you to stop thinking of your word processor as a typewriter. May 15, 1:15pm, Tuesday Theatre presents an Academy Award nominated movie based on the book War Horse by Michael Morpurgo. The movie is set in Rural England and Europe during World War I. When his father buys a thoroughbred rather than a plough horse, Albert (Jeremy Irvine) trains the horse and names him Joey. When the crops fail, Joey is sold to an English officer who takes him to Europe as a cavalry mount. The movie follows Joey through the war as he inspires all he meets. Rated PG. May 15, 4pm, Literary Youth will discuss Around the World in Eighty Days by Jules Verne. May 17, 7pm, Readers’ Delight will be discussing The Beekeeper’s Lament by Hannah Nordhaus. May 18, 9am, Preschool Story Time with guest Jim Minichiello. May 18, 10am – noon, Coffee Hour — Join us for a cup of coffee or tea, a sweet or two and good conversation. Suitable for all ages! May 21, 6:30pm, Writers Workshop 1 continues with an hour of writing and sharing poetry. This month’s calendar of events is available as a PDF for you to download and post! April 2, 7pm, Board Meeting — Board meetings are open to the public and follow the open meeting law. April 4, 7pm, Acoustic Music Night — bring your instrument and join the jam session, or just stop by to listen. April 6, 9am, Preschool Story Time — stories for the young and young at heart, a craft, and an occassional song or finger play. April 6, 10am – noon, Coffee Hour — Join us for a cup of coffee or tea, a sweet or two and good conversation. Suitable for all ages! April 7, 7pm, Community Coffee House — celebrating National Poetry Month. Peacham resident Bob Ryan will get the evening started by presenting one of the world’s best-known poems. Combining his acting background with his interest in the life and work of Edgar Allan Poe, he will perform The Raven. The rest of the evening is open to others to share their own and their favorite poems. We’ll have plenty of poetry books available for you to find just the right poem, and a few others with poems for multiple voices. April 9, 7pm, Tech Monday will focus on all the questions a new computer user might have. April 11, 7pm, Game Night! April 16, 6:30pm, Writers Workshop 1 (geared towards adults, but all are welcome) Continuing the celebration of National Poetry Month, children’s author and Peacham resident Elizabeth O’Donnell will lead us in an exploration of haiku and other forms of poetry. April 17, 1:15pm, Tuesday Theatre presents Academy Award winning movie based on The Invention of Hugo Cabret by Brian Selznick. David Smith Oil Paintings Are Next Exhibit at Gilmore Gallery . David studied art as an undergraduate at Goddard College in Plainfield and ceramics, painting and book illustration in its Adult Degree Program. He has worked with children making public art, been a scenic designer and painter in Philadelphia, a graphic designer in New York City and Vermont, and an architectural and woodworking designer and builder here in Vermont, where he has lived since 1974. His work is in collections across the United States and Europe. 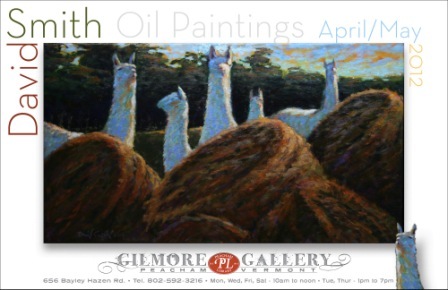 The Gilmore Gallery at Peacham Library is proud to be exhibiting his work for the months of April and May. An artist’s reception is scheduled for April 22nd from 4 to 6PM. More information will be posted soon on the Gilmore Gallery blog at gilmoregallery.blogspot.com and at the library’s web site peachamlibrary.org. New books and movies are arriving daily this week at the library. We are working to get them out on the shelves as quickly as possible. About 10 new movies are already on the shelves. Roughly 30 new books for adults will be out early next week. And the 2011-2012 DCF books will be out in time for spring break. The 80+ books we received through the Libri Foundations Books for Children went out on the shelves in mid-March. There’s bond to be something for everyone. Check the card catalog to see if a book is available. Don’t want to check out a book? How about buying one? The book sale room has reasonably priced books, audios, videos and jigsaw puzzles always available for purchase. Have a few minutes to spare? Help us put together a jigsaw puzzle! We’ve set up a table near the checkout desk with a really old puzzle with very thick pieces for you to work on. It’s a challenge as these are not interlocking pieces. Want to learn more about the library? Checkout our Facebook page with its daily posts. You do not need an account to view our pictures or read what’s happening. Wondering where the frogs have been? New pictures have been posted recently from trips to Honduras, France, India, China and Japan . March 27, 4pm, Literary Youth — This book discussion group for all ages will discuss Hitty, Her First Hundred Years by Rachel Field and The Miraculous Journey of Edward Tulane by Kate DiCamillo. Contact the library if you would like to borrow a copy of either book. March 30, 10am – noon, Coffee Hour — Join us for a cup of coffee or tea, a sweet or two and good conversation. Suitable for all ages! March 31 — Last day to see the works of Robert Van Vranken. A new show, featuring David Smith will be up April 2nd. April 4, 7pm, Acoustic Music Night, bring your instrument and join the jam session, or just stop by to listen. April 7, 7pm, Community Coffee House, celebrating National Poetry Month. Peacham resident Bob Ryan will get the evening started by presenting one of the world’s best-known poems. Combining his acting background with his interest in the life and work of Edgar Allan Poe, he will perform The Raven. The rest of the evening is open to others to share their own and their favorite poems. We’ll have plenty of poetry books available for you to find just the right poem, and a few others with poems for multiple voices. More new photos of Jing. This time he’s in Japan and France! February 1, CANCELLED — Acoustic Music Night — NIPS has another engagement this evening but will be back for a jam session April 4. February 3, 9am , Preschool Story Time — stories, maybe a song or two, and a craft geared for the younger set. February 3, 10am – noon, Coffee Hour — Join us for a cup of coffee or tea, a sweet or two and good conversation. Suitable for all ages! February 4, 4 – 6pm, Art Show Closing — Stop by to see Cornelia Hasenfuss’s “ Triptychs in Nature” art show and talk to Cornelia about her work. The show features hand-coated platinum contact prints focusing on the natural world, its shapes, patterns and textures. February 4, 7pm — Community Coffee House — Sal DeMaio and bluegrass at 7 with an open mike at 8! 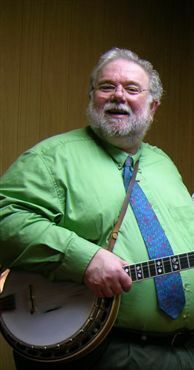 Our featured musician, Sal DeMaio is well-known in this area for his bluegrass clawhammer-style banjo playing. But he’s not afraid to play classical banjo or a bit of classical music on the banjo. 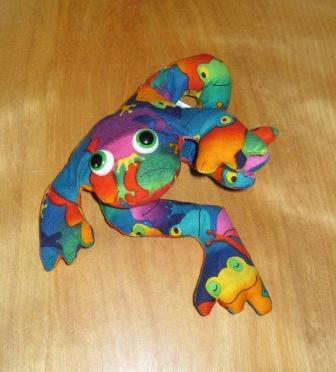 New pictures of Peacham the Frog’s Weaving Adventure have been posted. January 17, 1:15, Tuesday Theatre will screen a movie about two women (Cameron Diaz and Kate Winslet) who exchange houses for The Holiday. Free popcorn and cider! January 19, 7pm, Readers’ Delight — will be discussing Palace Walk by Naguib Mahfouz. The next book will be Maus by Art Spiegelman. Contact the library if you would like to borrow a copy of either book. January 20, 9am, Preschool Story Time — a time for stories, crafts and maybe a song! January 20, 10am – noon, Coffee Hour — Join us for a cup of coffee or tea, a sweet or two and good conversation. Suitable for all ages! January 20, 6:30pm— Family Theatre — This month’s movie is Disney’s rather “tangled” version of Rapunzel. The kingdom’s most wanted – and most charming – bandit, Flynn Rider, hides out in a mysterious tower only to be taken hostage by Rapunzel, a beautiful and feisty tower-bound teen with 70 feet of magical, golden hair. A movie for the whole family with free popcorn and cider! February 4, 7pm — Community Coffee House , performer to be announced, but please join us for the open mike at 8! New books for November and December are posted now posted. Check out new photos of Jing in Central Europe and Mexico!